Nicholas shows off the Lamborghini surgical dressing made by Dr. Robert Parry. 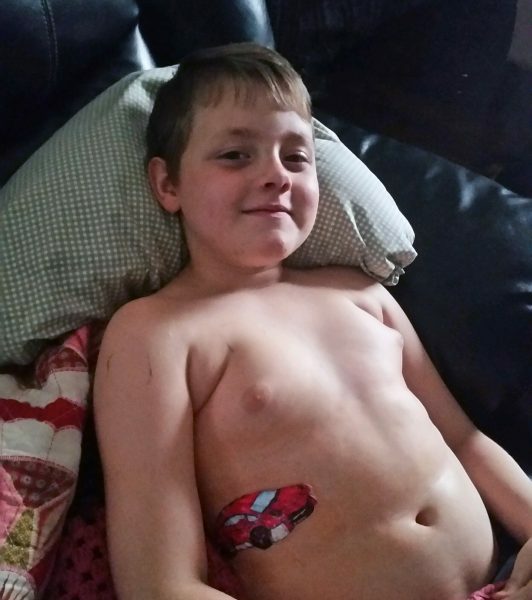 Nicholas Sender, 8, has had a mass on his right flank since birth. His parents Heather Layne and Paul Sender knew it was time to have it removed when Nicholas recently started feeling uncomfortable. 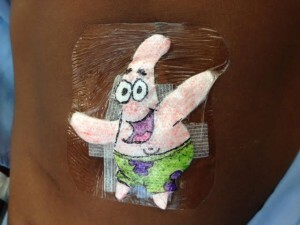 When they scheduled the surgery with Pediatric Surgeon Dr. Robert Parry, among the litany of presurgery questions Nicholas was asked was what drawing he would like on his surgical dressing. Designs he’s tackled include Mickey Mouse in surgical scrubs, Snoopy, Tom and Jerry, football helmets for most of the college and pro teams, and even a Thanksgiving turkey. He’s an accomplished artist in his own right and looks forward to the more unique requests, just for the challenge of trying something new. But giving the kids what they want gives him the most pleasure. And his version of a Lamborghini didn’t disappoint. 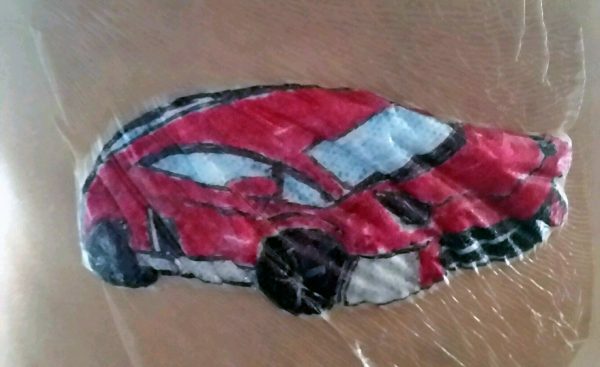 When Nicholas woke up from his surgery, the first thing he searched for was the surgical dressings, so he could see the Lamborghini. 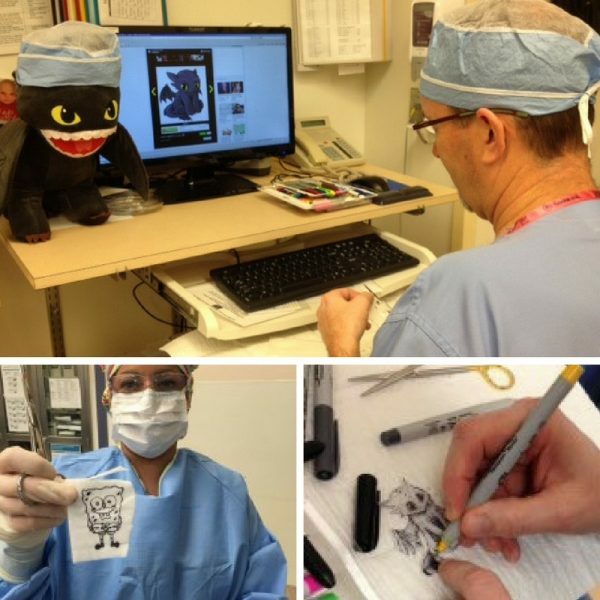 Dr. Robert Parry has been delighting his patients and staff with artistic surgical dressings for the past 20 years. When the patient visits him for the consultation before the surgery, he asks them to think about what type of drawing they would like him to make. Once the surgery is complete, he pulls up the design on his iPad and starts drawing.